Some people are quite fond of getting tattoos made on different parts or areas of their bodies. Of course, tattoos are made on the skin. At times, we may feel the need to get tattoos removed from the skin due to certain reasons. There are numbers of options available around to remove the tattoos from your skin. 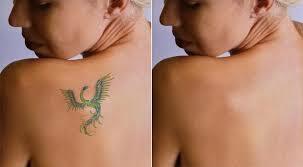 What is more important in this case is to take care of your skin following tattoo removal. The skin of the human body is quite sensitive and hence it needs to be well taken care of following such treatments. It helps in ensuring protection against any damages to your skin. By taking proper care of your skin following removal of the tattoos, you may ensure its overall well-being in all respects. Here are some of the most important aftercare tips for removal of tattoos. Following the tattoo removal session, you need to be quite careful about the type of clothes you wear. You must wear loose and clean clothes so that any rubbing of the clothes against the skin may be prevented. Such fabrics that may trigger itching or irritation on the skin must be avoided altogether. In order to offer complete protection against such risks, it is better to wear a bandage or dressing for at least 24 hours. Of course, it is very much important to pay attention to the cleanliness of your skin following removal of the tattoos. It is, in fact, one amongst the major and most important tips for skin care. Since skin becomes more prone to suffer from infections after removal of tattoos, therefore, you must ensure total cleanliness and hygiene of your skin in all respects. You must clean your skin with warm water frequently for a few days following the relevant treatment. Use of antibacterial solution is best in this regard. However, soaps and perfumes must be avoided on the skin. Evidently, blisters and scabs appear commonly following tattoo removal treatments on the skin. Such scabs or blisters should not be removed or picked as it increases your chance of getting skin infections. Help from healthcare experts may be taken in case such blisters or scabs start causing any types of discomfort to you in any ways. Most importantly, the skin needs to be offered total protection against exposure to the sunlight. For this, the relevant skin area must especially be covered with a cloth if you need to go out in the sun. It is particularly important for the first few weeks of the treatment. Early recovery of the skin health following removal of the tattoos may be assured provided proper attention is paid to total protection of the skin against various hazards.